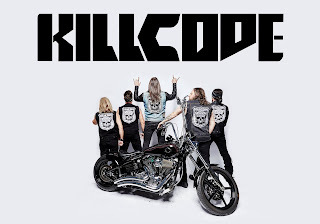 Check out :::KILLCODE:::'s new lyric video for the song "Shot"! "Shot" is off :::KILLCODE:::'s latest album "The Answer", which was produced by Joey Z (Guitarist for Life Of Agony). The video was directed by Shan Dan Horan and his team at "The Shadow Born Group". "Shot" is also now available for download purchase at :::KILLCODE:::'s website killcode.net and www.reverbnation.com/killcode. Advanced limited edition copies of "The Answer" are now available for purchase at killcode.bigcartel.com.